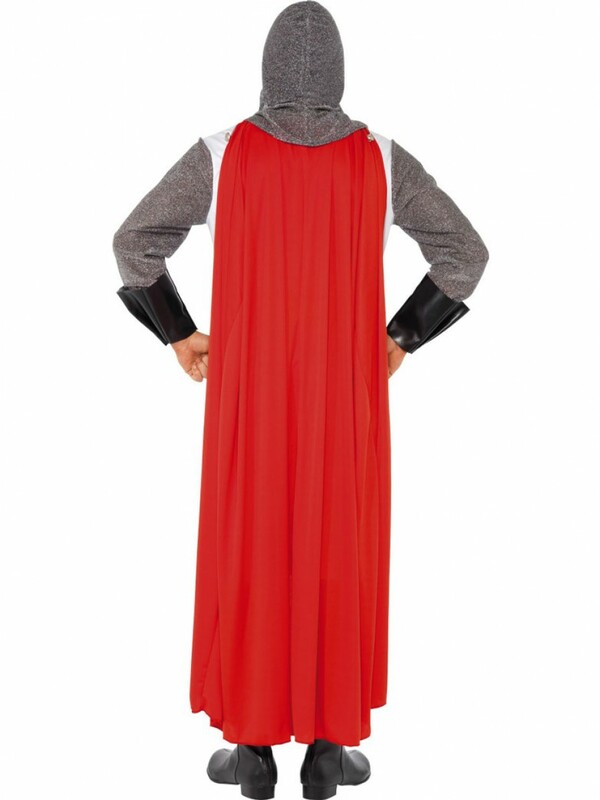 A classic Knight Costume which includes Headpiece, Cuffs and Tunic Top with Cape and Belt. Ideal for a medieval theme, St Georges Day or any fancy dress occasion. 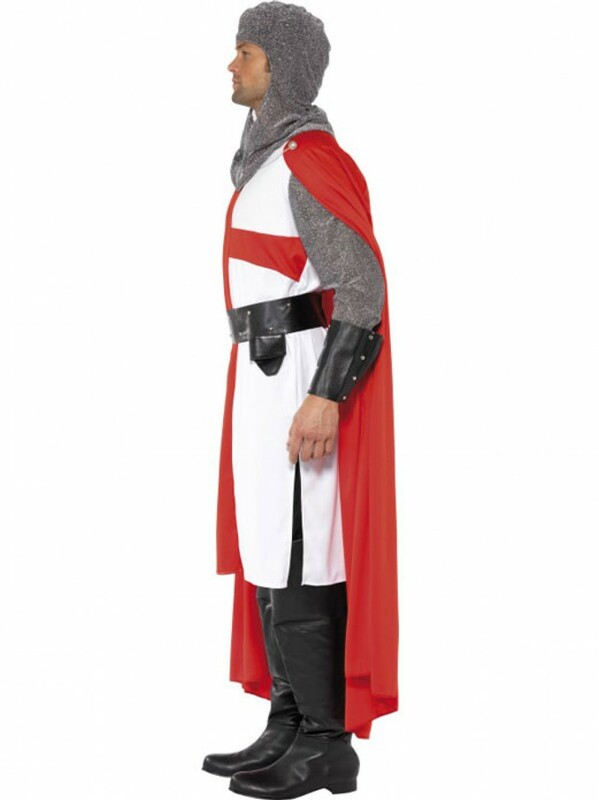 Transform into a St George Hero with this fantastic Knight Costume. 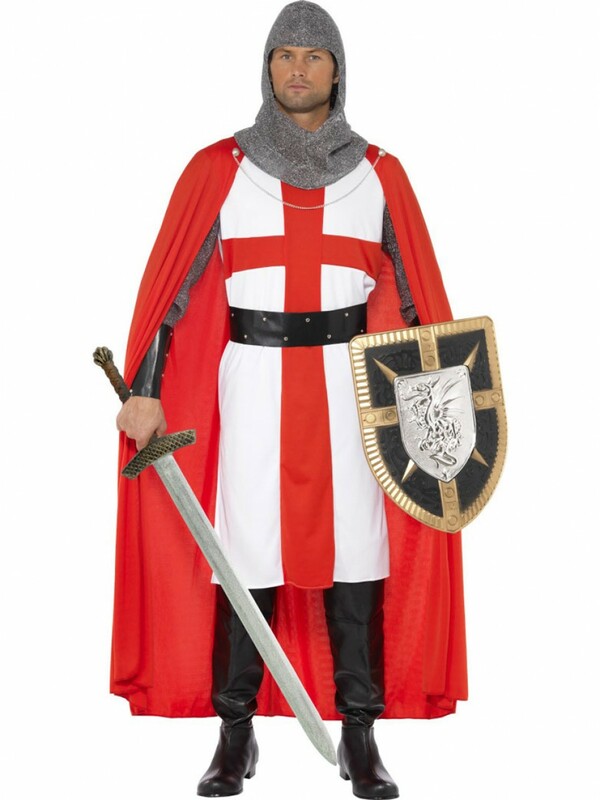 The Knight Costume includes a tunic style top with a St George Flag design on the front and faux leather belt and cuffs to complete the look. The top also has mesh armour style arms and an attached bright red cape. The mesh look headpiece provides the perfect finishing touch. This Knight Outfit would be ideal for Medieval Fancy Dress, St Georges Day or any fun fancy dress occasion. Knight Costume which includes Headpiece, Cuffs and Tunic Top with Cape and Belt.